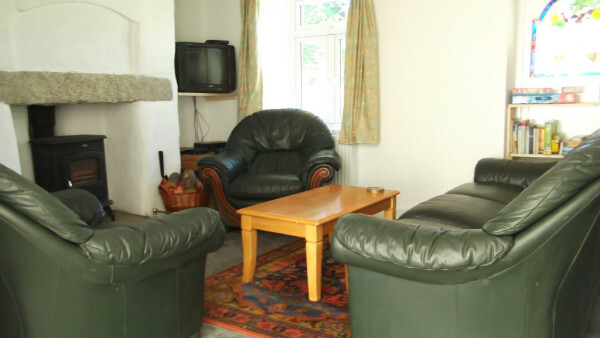 Beautifully renovated holiday cottage in quiet valley in the heart of Cornwall. 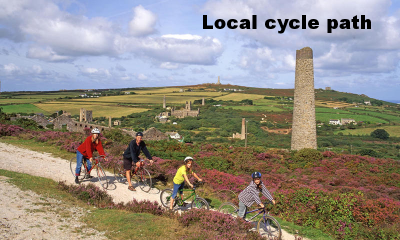 Easy access to facilities, outdoor activities, Cornwall’s popular attractions and stunning landscapes. 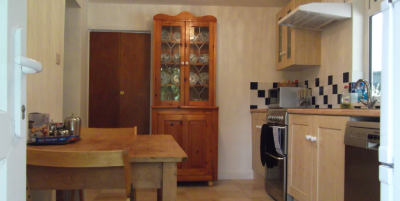 Family friendly, dog friendly, 2 bedrooms, sleeps 4 or 6, enclosed garden, golf, horse riding, coastal walking, surfing, woodland, close to sea & beaches. Old Cottage full of charm. Beautifully renovated. Two Bedrooms sleeps 6. Tucked away in Tolskithy Valley near Portreath. Easy access to all Cornwall. Only 5 minutes from A30. Access beaches, coast, woodlands, surfing spots, Tehidy golf club, horse riding - all within 5 minutes! glass, beamed and vaulted ceilings. A 25% deposit secures your holiday. The remainder is due 6 weeks before the start of your holiday. Payment can be made through paypal. You will receive an invoice with an option to pay through paypal. 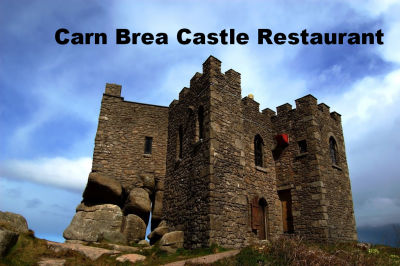 We offer 5 per cent DISCOUNT For people who have booked with us before. Pets are by agreement and will include a surcharge. (2 minutes by car) there is a Co-op Food Store, Pub with Restaurant, Pharmacy and Post office. Then 5 minutes by car are Tesco, Lidles, Tesco Extra and Morrison’s. Within easy reach of the very best of Cornwall, tucked away in the historic Tolskithy Valley, Pixie Cottage offers the ideal setting for exploring Cornwall. It is the perfect base for a Cornish holiday with a prime, central location and excellent road connections including being five minutes from the A30, making it easy to access all areas of Cornwall. 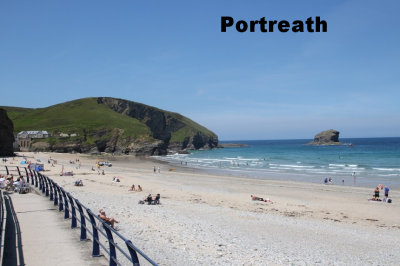 Only five minutes by car you can arrive at: Portreath Beach; Tehidy Country Park with its café, bike rides and miles of woodland walks (which are buggy and wheelchair friendly); Tehidy Park Golf Club; Mount Pleasant Stables; or the Coast to Coast Cycle Trail. Less than 30 mins by car are many other beaches within easy reach including four miles of golden sands at Hayle, Porthtowan Beach, St. Agnes and Chapel Porth. Well known tourist attractions such as the Eden Project, Heligan Gardens, Newquay Zoo, Crealy Adventure Theme park, Paradise Wildlife Park, Dairyland, Healeys Cornish Cyder Farm, Lands End, Tate Modern St. Ives and Flambards Theme park with fairground rides for people of all ages and its Victorian Village and Britain in the Blitz museums. A Wonderful stay in a delightful cottage. Great days at the beaches - Watergate Bay - Constantine bay and Sandy Acres. The Wictory Pub is fantastic. Great welcome by Buffy and her staff. Also Portreath harbour makes for a lovely walk on the way home stopping at the Waterfront Inn for a last drink. Thank you Mike and Kathleen - helpful, welcoming and unobtrusive. 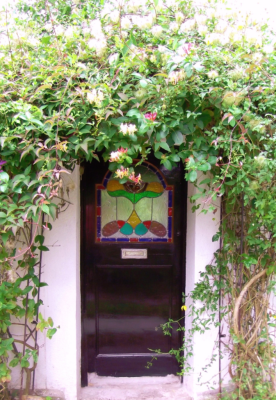 We really enjoyed our stay at Pixie Cottage, its in a beautiful location close to lots of beaches, some of our favourites are Portreath and St. Ives, we had some delicious meals at Trickys and Morish fish and chips. Week has gone by so fast wish we could stay longer. Will be back soon. Thanks to Mike and Kathleen for making our stay enjoyable. 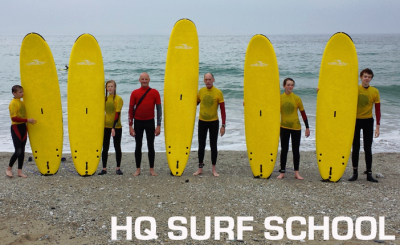 Great bodyboarding on Tuesday at Porthtowan Beach and good food still at Fox and Hounds, Scorrier. The cottage has been fitted out so well and thanks Kathleen and Mike for showing us your studio and amazing stained glass and for your help and hospitality. What a lovely cottage and so peaceful and quiet! We thoroughly enjoyed our stay and explored the beautiful countryside. Highlights were St. Michaels Mount and Glendurgan Gardens. Thank you so much for everything. Fantastic little cottage, sleeps 5 perfectly, all freshly painted and kitchen brand new which was GREAT. Location incredible inbetween St. Ives and Newquay. 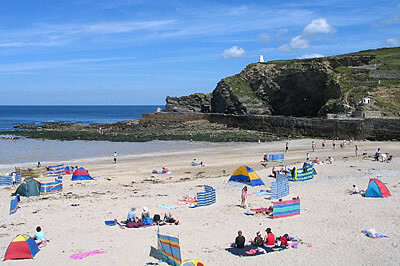 Best beaches: Gwithian Coast, NT Godrevy, Lelant, Crantock, Fistral at Newquay and Portreath. 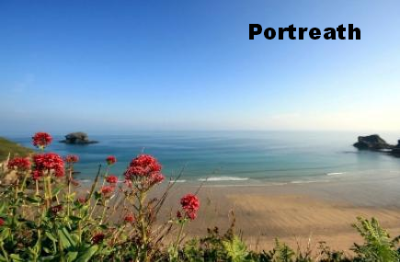 Best pubs Bassett Arms at Portreath, The Victory Inn at Porthtowan, The Miners Arms at Gwithian. Sightseeing: Padstow, St. Ives, St. Michaels Mount, Pendeen - WOW what a coastline! Thanks to Mike and Kathleen for help when needed. Thank you for letting us stay in your charming cottage it has been a lovely week and revisiting old haunts and good weather too. The cottage is cosy and we have enjoyed our week here. Many thanks.